ZONED COMMERCIAL. Formerly used as a Nail Salon sitting on 1 Acre. Property is also For Sale. 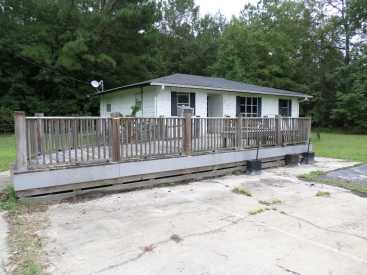 Features a spacious parking lot, a huge front porch/deck, Tiled Flooring throughout the interior, half a bath, kitchen area, and located on a major highway.